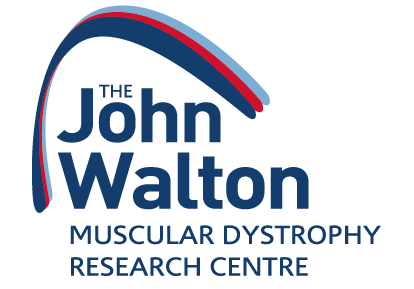 Together with Duchenne UK and Joining Jack, we are jointly funding the Treat-NMD programme coordinator post for Duchenne at the John Walton Muscular Dystrophy Research Centre at Newcastle University, currently held by Cathy Turner. Cathy works with funders and key stakeholders to ensure the needs and input of the Duchenne community are addressed during the research and clinical process. TREAT-NMD is a network for the neuromuscular field that aims to ensure that the most promising new therapies reach patients as quickly as possible. Since its launch in January 2007 the network has focused on developing tools that enable industry, clinicians and scientists to bring novel therapeutic approaches through pre-clinical development and into the clinic. It also focuses on establishing best-practice care for neuromuscular patients worldwide. Before Cathy joined Treat-NMD, the post we funded was held by Kim Down, who helped facilitate the UK National Workshop on Duchenne Muscular Dystrophy Clinical Trial Capacity in summer 2015. This landmark strategy meeting was spearheaded by patient organisations and hosted by Treat-NMD, bringing together clinicians and patient organisations with representatives from the NIHR and pharmaceutical industry to address the need for increased clinical trial capacity at UK hospitals for Duchenne. The result was the Newcastle Plan, a five-year strategy to fill the clinical and administrative gaps at UK hospitals that were delaying Duchenne clinical trials from progressing. Within six months, patient organisations had reached an agreement to fund £1.2 million of posts, and within a year, 10 of 16 posts had been filled.